A Good website is the most effective tool of promotion in the World Wide Web. But, what makes a website great? Is it high page views, optimum speed, users revisit, useful content, great user interface, optimum website usability, high conversion rate or visually appealing web design. From the above mentioned factors, the usability of a website is the most significant aspect of web designing helps in improving overall user experience of a site up to great extent. A dedicated web developer used to design a highly cross browser compatible, W3C standards validated, table-less, well structured, SEO semantic, highly pixel perfect website hand coded by using HTML/XHTML/CSS mark-up languages or other CMS and web applications. Every web programmer with solid professional knowledge focused to design a fully functional and highly accessible website with optimum website usability. What does term web usability stands for? The web usability is the most user-centered approach most commonly used across the globe for building user-friendly and customer centric web portals. In fact, by adopting effective approach of optimum website usability, a web programmer strive to bring huge benefits for your online portal. Creating clear visual hierarchies is the most effective way to design a website with optimum usability. Every online visitors need proper guidance while browsing web portal and that why it is important to create clear visual hierarchies by prioritizing useful information. Heat Map: By using heat map, you can boost up the usability of website up to great extent. With the help of heat map, you can easily find out the most appropriate position for publishing affiliate ads where human eyes spend most of their time on your site. Loading time: The quick loading time is the most crucial aspect of enhancing usability of your website. As per the market research, 8.6 seconds is the maximum period of time an user will going to wait to download a web page. For optimal usability, it is pre-requisite to that your website downloads quickly. Avoid visual clutter: You should always avoid visual cluttering in order to get optimum website usability. Now-a-days, eyes and minds of large fraction of online visitors divert towards too many ad banners, fonts, attractive headlines, visually appealing images, proper links and bright colors. However, by reducing visual clutter one can increase site usability, accessibility and readability. There are many benefits of planning website usability that comprise increased user satisfaction, brand loyalty, increased user productivity and so on. Above discussed are some best way to improve your website’s optimum usability. 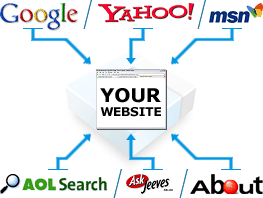 By this way, you can bring high online visitors on your web portal.